BALTIMORE, Md. 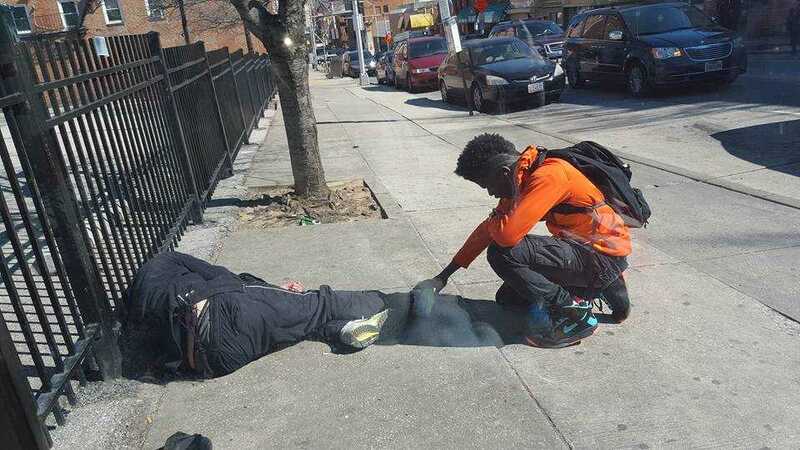 — A Maryland police officer’s photograph of a teenage boy praying over a homeless man as he slept on the sidewalk has gone viral. Eric Gaines, a police officer at the University of Maryland, snapped the photograph in Baltimore on March 1, and posted it on Facebook. The officer said that he was blessed by the teen’s act of kindness and wanted to share it with others. Last year, Baltimore had been in headlines nationwide as violent riots broke out following the funeral of Freddie Gray. The identity of the boy is not yet known, but Gaines said he would like to meet him. He said that he hopes that the teen sees the photo and knows that he has touched many lives through his example. As of press time, the photo has been shared over 36,000 times. As previously reported, last month, a South Carolina sheriff’s office released a video sharing the story of a formerly drug addicted homeless man whose life was transformed after a police officer took the time to talk to him and gift a copy of the Bible. The video by the Greenville County Sheriff’s Office featured footage of a phone call from Robert Morris, whose life was touched in 2014 after Deputy Matt Holman found him walking the streets alone and soaking wet. He explained that he had been living in a tent after becoming addicted to drugs and alcohol, and after he was flooded out, he began walking the streets. Deputy Matt Holman saw Morris out walking at 2 a.m. and stopped to talk. The two went to a nearby church, where Morris shared his life story. During the discussion, Holman asked Morris what his needs were, and Morris said that he would like a Bible. Holman stood for a moment contemplating what to do as all he could find in the trunk was his own personal Bible. The deputy ended up giving Morris his Bible and bought him a meal.